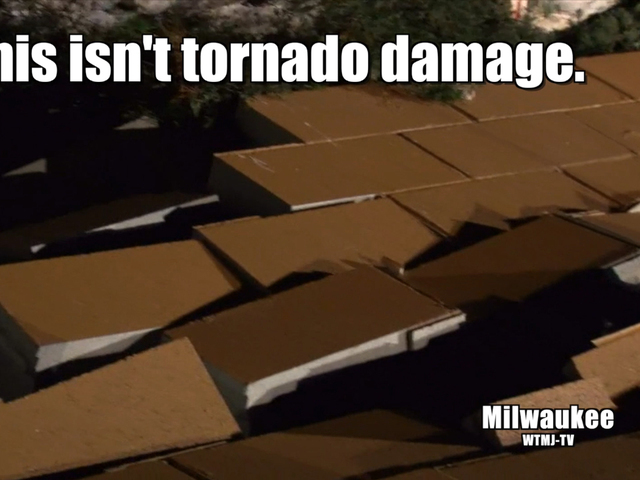 Gusty winds damaged a steakhouse in Wisconsin Tuesday night. It happened at a Texas Roadhouse in a Milwaukee suburb. A brick wall surrounding dumpsters behind the restaurant collapsed to the ground with customers still inside. Some of the bricks even flew into the parking lot. The South Shore Fire Department says nobody was hurt and no vehicles were damaged. Despite the damage, the restaurant still remained open.